On the 21st of May, Tatanka Kaligawa – owner and designer of Mea Culpa – presented the first time his new creations on the runway. Mea Culpa is a very young label and basically goes for avantgarde and haute couture… the special things but also Tatanka tries to hold them realistic and wearable. The runway that Opium builded was dreamy and unique. Colorful fantasy elements and the amazing color changing runway gave a wonderful frame for the lovely creations of Mea Culpa. My first outfit was the “Moon Rose”. On the first view a simple looking little, tight dress. But if you look closer you can see that it is not just made of a simple plain black texture. It let imagine sweet folds on the whole dress. Highlights are definitely the lace stockings and the fluffy boa…and my personal highlight is the headpiece. A big flower with an amazing laced veil that repeats the lace character of the stockings and gloves. My second outfit was the “Blue Dragon Blade”. A complete outfit with boots. The blue and silver combination was perfect for blue particles 😉 The center of that outfit are the long and flexible needles and spikes that wave around you if you move. It has a lightly warrior touch and a very fantasy basic. The outfit comes as a “ready-to-wear” with dress, hair piece and boots. The texture is a rough material and a color combine of silver black and blue. The boots also carry spikes and thorns to match the outfit perfectly. “Storm of passion” I already showed before in another blog post. A very strong outfit with a dark mystic touch. My last out fit for that incredible show was the “Bound for Hell”, one of the latest releases of Mea Culpa. “Bound for Hell” a very special and huge outfit. It looks a little bit as a dark priestess or even the devils wife 😉 The great hood gives a wonderful mystical touch and all the big, flexible attachments make it lightly mystical. Basically the body is covered by a lace suit. The great shoulder attachment adds a lightly dangerous look. To cover the “private” parts The top has a black ornamented texture and the pants are black too carrying the same wonderful red and silver decoration. Again the best match for me were ankle boots from Stiletto Moody. “Bare Lucille” completes the strong and extravagant look of “Bound for Hell” perfectly. 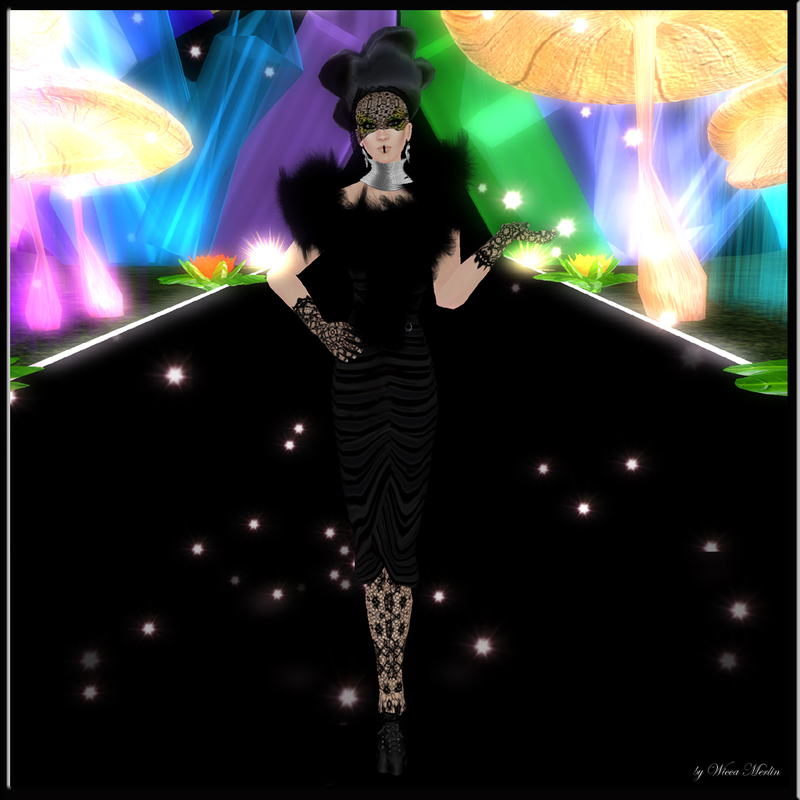 Mostly all poses for that show were made by Arisia Ashmoot, owner and designer of Body Talking. I hope you had fun with my short review of another fantastic Opium Fashion Show! 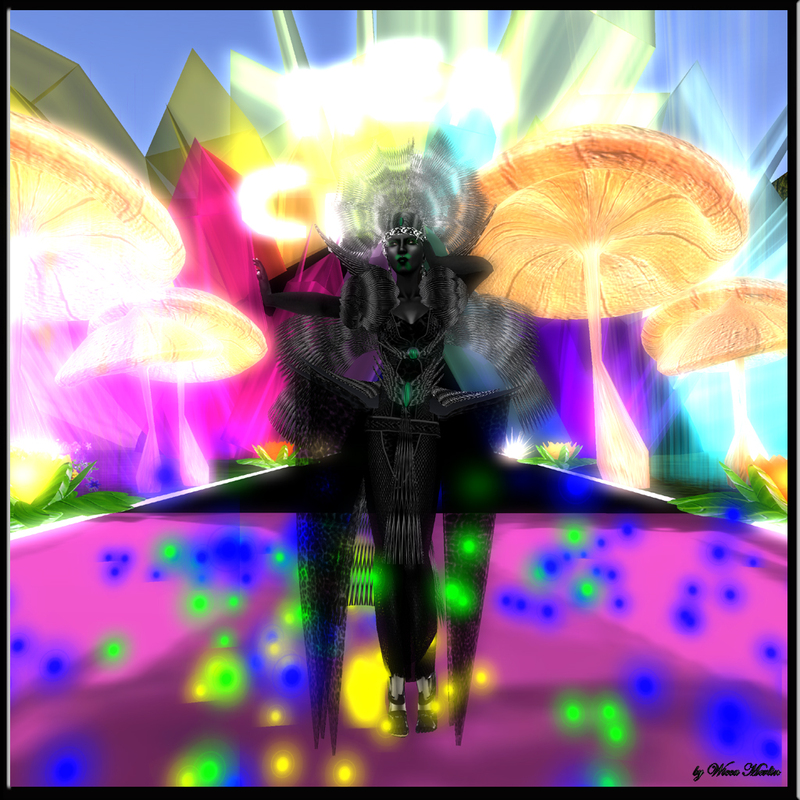 This entry was posted in Fashion and tagged Avantgarde, Blogger, crazy, different, Extraordinary, extravagant, Fantasy, Fashion, Haute Couture, High Fashion, Mea Culpa, Model, mystic, Nunaa's Skins, Nuuna's, Opium Fashion Agency, Opium Show, photographer, Stiletto Moody, Style, Tatanka Kaligawa, Wicca Merlin, wild. Bookmark the permalink.